On March 31, 2016 Judge Evans in the North Georgia District Court released her opinion on remand in the ongoing GSU Copyright Lawsuit (Cambridge Univ. Pr. et al. v. Patton). GSU was sued in 2008 by Cambridge University Press, Oxford University Press, and Sage Publishers (plantiffs). The complaint alleged that posting of excerpts of copyrighted works (books) on electronic reserves without obtaining a license constituted copyright infringement. GSU answered that the uses were fair uses, and therefore not copyright infringement. In 2012 the North Georgia District Court found 5 instances of infringement out of 99 claims, and found GSU the prevailing party. The plaintiffs appealed the decision, and in 2014 the 11th Circuit Court of Appeals decision vacated the district court decision and remanded the case back to the District Court with instructions to reconsider the case based on the 11th Circuit opinion. The new opinion again finds Georgia State to be the prevailing party, finding 7 (or 4 – there is some confusion about contradictions between the findings in Judge Evans’ opinion and in her summary) instances of infringement out of 48 surviving claims. 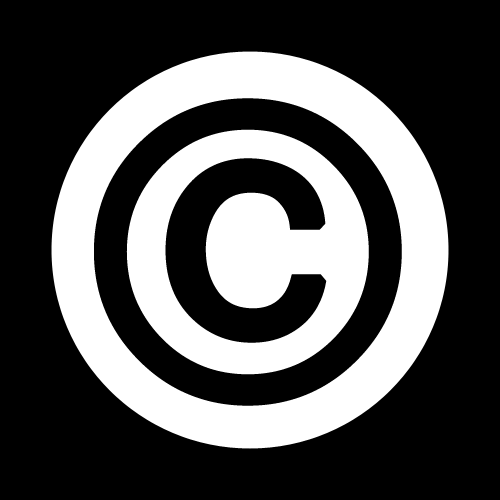 Whether a particular use of a copyrighted work is fair use is determined by considering the four factors found in 17 U.S.C. §107. Following the direction of the Court of Appeals, the District Court put the most weight on the 4th factor, and clarified that the case is not about the original works, but rather the market for licenses to use the works in a particular way. (N.D. Ga., 2016 p.7). Further, the central question was not whether the unlicensed use would cause the publishers to lose some potential revenue, but rather, whether the use of small excerpts in electronic reserves would frustrate the purposes of copyright by materially impairing the publishers’ incentive to publish the work. (N.D. Ga., 2016 p.7-8). The District Court evaluated each of the 48 works using the four factors. As to the first factor, the Appeals Court agreed with the District Court’s original ruling that despite being non-transformative, the nonprofit educational use of the works weighed in favor of fair use. Factor two, the nature of the copyrighted work, focused on the balance between objective information and author opinion in each work, generally finding that the factor was neutral. Recognizing the interplay of the four factors, the court’s analysis of the third factor took into account the favored use identified in factor one, plus, noting that the amount copied serves as a heuristic for the market impact, the impact of market substitution recognized under factor four, in determining whether the amount used was excessive. (N.D. Ga., 2016 p.6). Finally, the fourth factor analysis first looked at whether permissions for the use were available in 2009 (the year in which the claimed infringements occurred). If they were, the District Court found that it follows that widespread, unpaid copying of excerpts would cause substantial damage to the potential digital permissions market. In each work where a license was available, market harm was presumptively found. However, to counter a finding of harm, the District Court considered that whether demand for a particular excerpt was so limited that repetitive unpaid copying was unlikely, and, even if widespread, would not result in damage to the extent that the publisher would lose incentive to publish the work. To make this determination, the court looked at both the sales value of each book as a whole, and the amount earned from permissions, either in-house or through the Copyright Clearance Center. In most cases, the amount earned from permissions was so small compared to book sales that the court found that even widespread, unlicensed copying of the type done by GSU would not have threatened the incentive of the publisher to publish the book. (N.D. Ga., 2016 p.13). Considering the initial, approximate weight of the factors to be 25% for the first factor, 5% for the second, 30% for the third, and 40% for the fourth, (N.D. Ga., 2016 p.18), the District Court found most of the uses to be fair. Using the court’s discretion, the judge also found GSU to be the prevailing party, and awarded attorney’s fees. (N.D. Ga., 2016 p.211-212). Since some instances of infringement were found, the next step is for the parties to propose appropriate injunctive relief. The court will then craft an appropriate injunction. The American Association of Publishers (who, with the Copyright Clearance Center are funding the publisher’s litigation) expressed disappointment in the outcome. Kevin Smith notes how the decision does not provide a workable approach for libraries to use for fair use analysis, since the book sales and licensing revenue data is not readily available. Brandon Butler has an overview of the decision. This entry was posted in For Faculty, For Graduate Students, For Students, General News and tagged copyright, fair use, lawsuit. Bookmark the permalink.